The signals are now unmistakable: Toyota will offer a battery-electric car for sale in 2020. After a decade of condemning electric cars as suitable only for the smallest vehicles in around-town use, the world's largest car company is changing its tune. Yet another news story out of Japan has company executives suggesting that it has finally decided lithium-ion batteries are suitable for real cars. In this case, the message was delivered by Hisao Yamashige, one of the company's many researchers into battery technology, who spoke at a briefing for Tokyo media on Thursday. Lithium-ion cells, he said, are "a key technology" and their performance must improve even more than it has going forward, he said, according to the Reuters news service. Toyota will be able to build cars with longer battery life and up to 15 percent more range than they have today, he suggested, "in a few years." 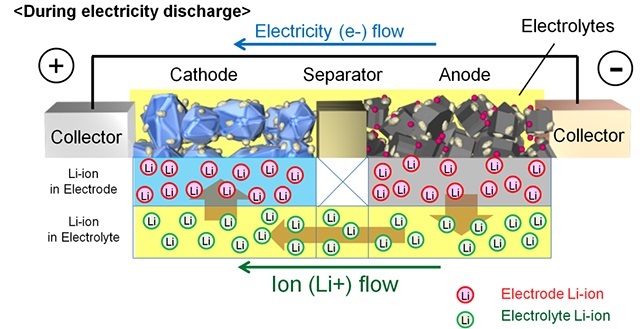 The meat of the presentation had to do with new techniques that allows Toyota to observe in real time how lithium ions move inside the electrodes of battery cells, Yamashige said. One new technique replaced the usual electrolyte, containing phosphorous, with one that used heavy elements instead. When lithium ions bind to electrolyte ions with heavier elements, their shadows are darker on X-rays, letting researchers see the deviation of those ions better within the electrolyte. The techniques were developed in a collaboration among Toyota's central R&D laboratories, four Japanese universities, the publicly funded Institute of Physical and Chemical Research, and the Japan Synchrotron Radiation Research Institute. The upshot of the observations may be new designs that prevent ions from moving unevenly and "bunching up" within the electrodes, causing excess heat and affecting cell life. This is likely one of the technologies mentioned by Koji Toyoshima, the chief engineer for the latest Prius—and its Prius Prime plug-in hybrid version—in a separate presentation last month. He mentioned Toyota's work on lithium-ion battery packs, including sophisticated real-time monitoring software to observe the temperature and operating characteristics of each cell; shrinking cell size for greater energy density and better battery packaging; and better precision in cell manufacturing to eliminate impurities. The upshot of that presentation: "Developing lithium-ion batteries for both hybrids and plug-ins will enable us to also produce all-electric cars in the future," Toyoshima said. And that's the message we've been hearing from the company since early summer. 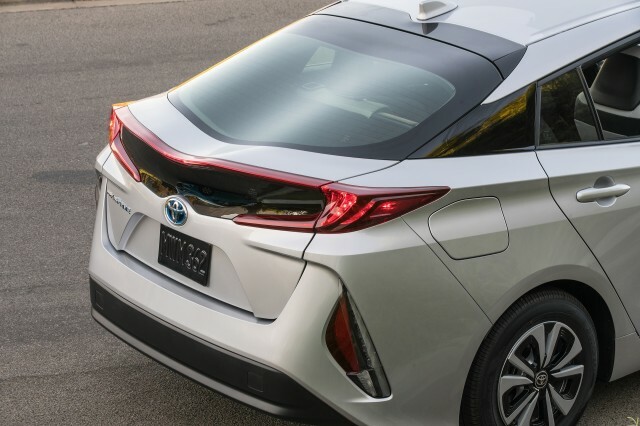 Back in June, Prius chief engineer Toyoshima hinted that the Prius Prime plug-in hybrid could form the basis for future battery-electric Toyota models. That car's 8.8-kilowatt-hour battery pack gives it a rated electric range of 25 miles, and the second-highest energy efficiency rating (133 MPGe) of any car sold in the U.S. this year. 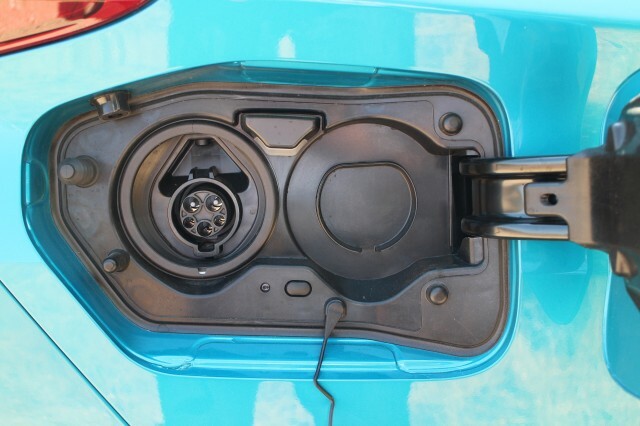 Moreover, its engineers made the unexpected choice of defaulting it to run solely on battery power without letting the engine start up at all while there is still battery capacity left. It differs from the behavior of other plug-in hybrids from Ford, Hyundai, Kia, and others—but replicates the driving experience of the Chevrolet Volt, which now has 53 miles of all-electric range. 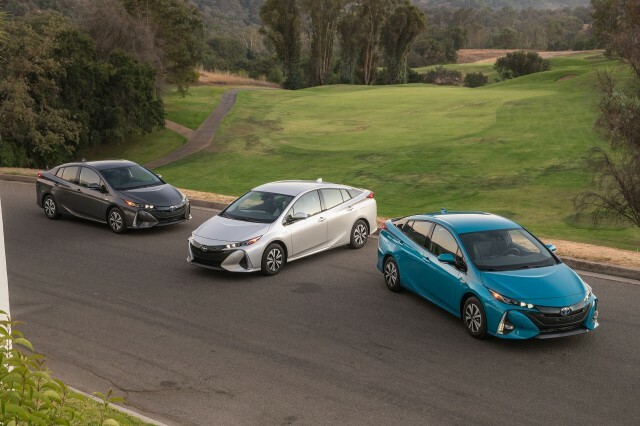 The Prius team has already indicated that a battery upgrade for the Prius Prime could come sometime during the car's probably six-year model life—perhaps at the halfway point, which would be the 2020 model year. Earlier reports have suggested that Toyota will introduce a small, all-electric SUV at the 2020 Tokyo Olympics, which it will use to showcase its green-car accomplishments. Could we expect an all-electric version of the Prius then as well?